I was using a Samsung P2370MS since July 2011 but the use case at that time was different from what I have today.This Samsung monitor was a 23″ Full HD TN Panel so it was hard to find a reason to upgrade. It had a fast response time, very good color accuracy and plethora of connectivity options which was one reason to buy that monitor at that time. IPS screen for better viewing angles because Samsung’s TN panel in old display used to give bad viewing angles. After doing my research I found LG 24MP77-P which was fitting my requirements. The stand is hollow and you can keep things in it. My experience with this monitor has been amazing. In the same frame size of my old 23″ monitor, I now have a 24″ monitor. LG gives few pre-defined picture modes which come in handy. Reader mode is especially good as it reduces blue light coming from the screen resulting in less strain on eyes. Cinema mode when playing games or watching movies. This mode enhances the contrast and brightness for better color reproduction. A custom mode with high color accuracy when working on my design tasks in Illustrator or Photoshop where quality and accuracy of color matter. This monitor comes with two HDMI and one VGA port. 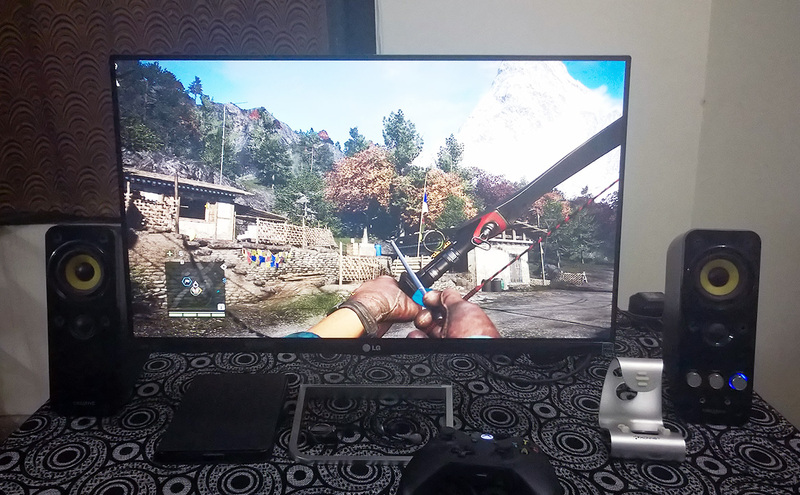 I am using this monitor with my Asus Radeon R9 270X DirectCU II graphics card and DigiFlip HDMI cable This cable has a very good build quality. It is gold plaited and has a braided cord making it a long lasting cable. The speakers are nothing to talk about as they are just basic speakers included for the sake of including a speaker. You are advised to use a better speaker with your PC. I use a Creative Gigaworks T20 Series II speakers. The stand is sturdy and doesn’t move. Once placed and set, you can forget this monitor that it is even there. I am very satisfied with this monitor and intend to use it for a long time. It is a very good buy for the price. 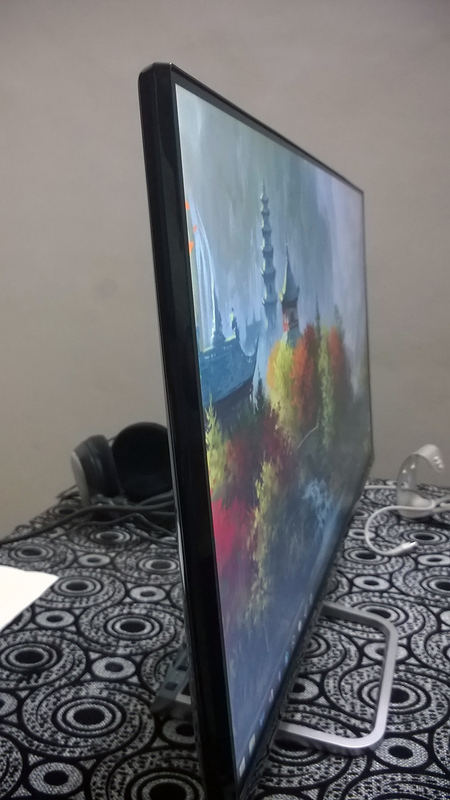 Sir I want to buy this monitor online for 13500. And such an amount matters a lot to me. I have watched a video on YouTube which shows that this monitor has a flickering problem when connected to laptop via hdmi. Do you feel such issues. Please reply. I shall be highly grateful if you reply. I don’t face any such issue. It could be a specific issue with that laptop only. can i connect speakers to this monitor?? i want to connect ps4 so i need a speaker system. @apratim yes, there is a standard 3.5mm audio out available. A quick question, are you facing any strain in eyes after sitting in front of monitor for about an 1 – 2 hours continuously. 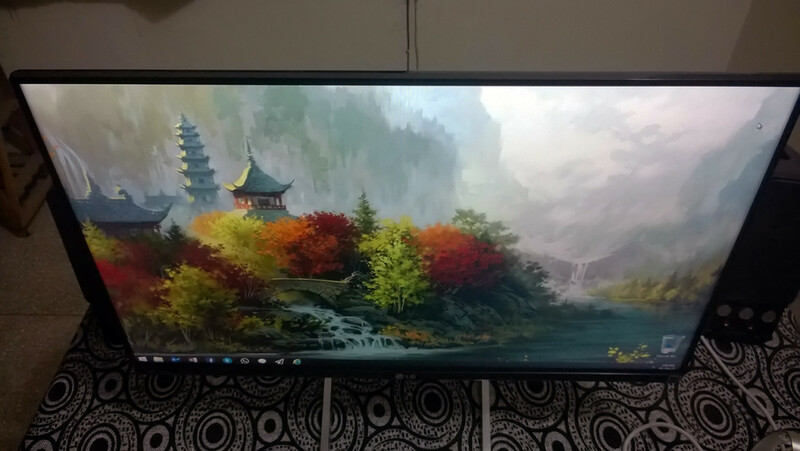 Reason for asking this question is that i had bought ViewSonic VX2370SMH-LED 58.42 cm (23) IPS LED Monitor (Frameless Design, Full HD 1080p, 30M:1 DCR, HDMI/DVI/VGA) and as soon as i configured it and starting using for close to about 20 odd mins, starting getting light headache and water in my eyes, so i moved away for some time and all gone. When i started my work again, and headache started. This i noticed for about 3 – 4 days continuously and along side i did some research on net and came to know about flickering and usage of PWM technology which was causing the headache and eye fatigue. I was lucky to return the monitor. @Vinod No such issues. You can turn on reading mode in this monitor which will reduce blue light. Thanks Saurav. I have ordered now. Waiting for delivery. Hi, what version of HDMI cable do you use? I bought it yesterday and monitor says ‘No signal’ when I connect it to PC via HDMI – HDMI cable. but I have an adapter DVI – HDMI and I works fine with it. I use a Digiflip braided HDMI 1.4 cable. Is your HDMI cable not working in either of the 2 ports? Can u tell me the height of the screen visible area? I have not measured. Should be more than 1.5 feet. Would you kindly to you make a video review of it? I’m planning to buy a monitor in a couple of days but I’m stuck with two options left for my budget. The only thing that makes me hesitate to buy the monitor is that the monitor is outdated, it released in 2012. And it doesn’t have that eyecandy frame design that the LG have. I’m asking you to make a video review of this monitor becasue I want to know about this monitor’s real time gaming and watching movie performance. Is there any noticable “ghosting” effect? And how’s this monitor’s color accuracy? @anjas I am sorry but making a video review is not possible. I don’t have the equipment. However, that BenQ and LG both are good. There is no ghosting with LG. I haven’t found a video in English for the 24MP77HM but it seems that this monitor supersedes the 24MP76HM for which there are a few videos. The main differences appear to be physical only as the newer item is much lighter and the stand appears slightly different in structure. The specs for both monitors appear to be identical. I have just ordered my 24MP77HM but it has to come from the other side of Australia so it will take a week or more to get here. @Kishore The text is not fuzzy once you configure Cleartype properly. It is compatible with your GPU. I suggest that you upgrade your operating system though. Vista is 10 year old. Whats the color space , color depth , input lag? 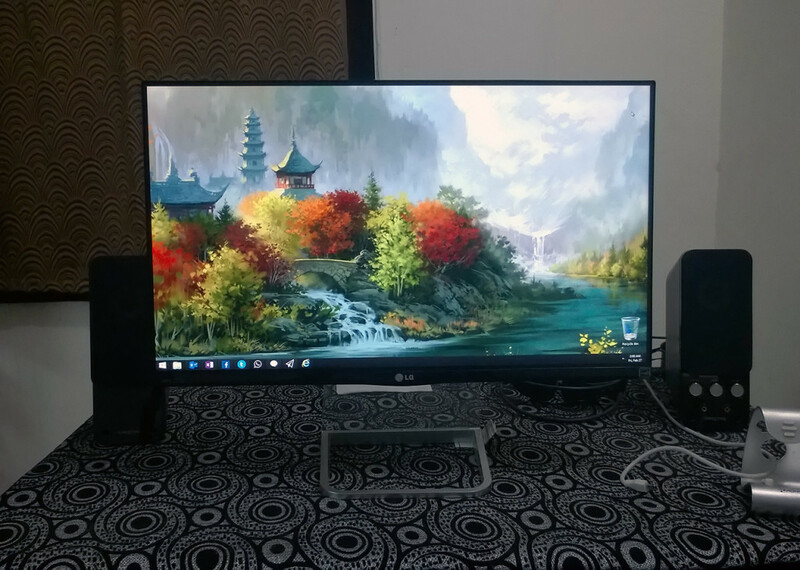 @Diptesh Dell S2415H also seems good. It also has a IPS Panel etc so buy what is more fitting according to your budget. @Prasad I don’t see any with my unit at least. You can check color space, depth etc on this monitor’s official page. There is no input lag which I could see. 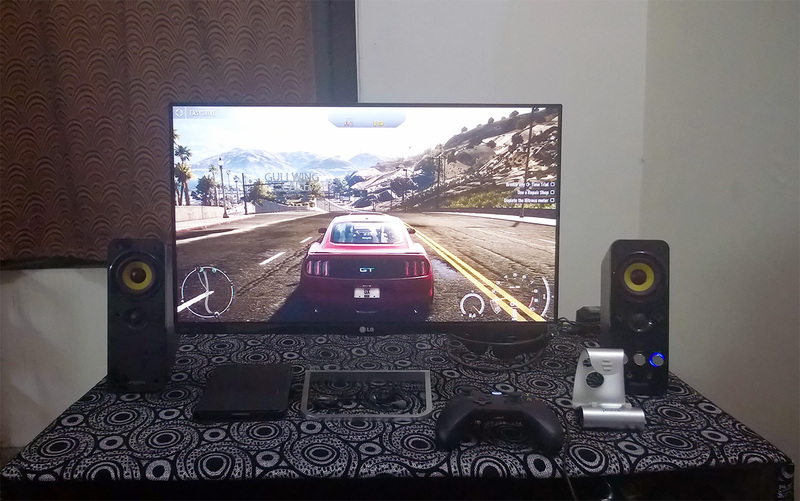 samsung ls24e390hl or this one mostly for gaming and watching movies…. 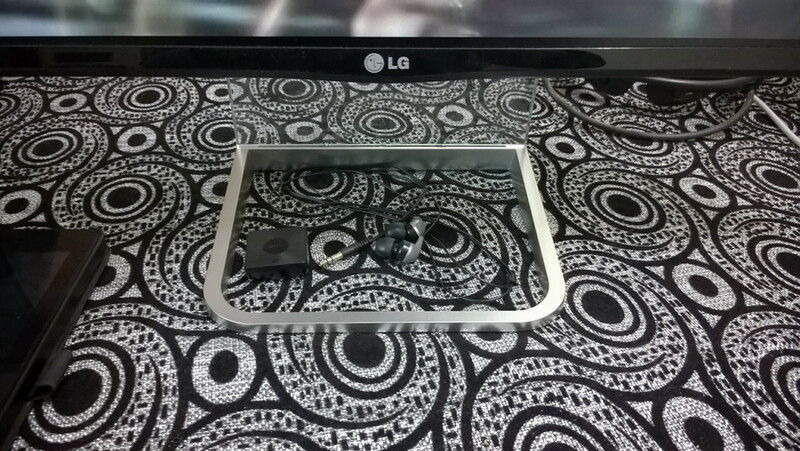 @Rohit I have not seen Samsung LS24E390HL. It has a PLS display about which I have no idea. You will need to do your own research on this. Yes, they are all input ports to send signal to the monitor. 2 HDMI ports come in handy if you have two sources connected to a monitor like a PC or a laptop or a HTPC or a gaming console. It is just more convenient that way. VGA port works properly. I prefer to use HDMI though as I don’t want to use Analog connection anymore. I read on flipkart specs that it has 2 HDMI ports and 1 VGA port are they all input ports ? if yes why ? putting 2 HDMI input ? the VGA port is it working properly ? Does the cinema mode make colours more vivid? @Steveh yeah, it does. It depends on your preference though. Does this monitor has MHL? @Ishaan No. No MHL in this monitor. 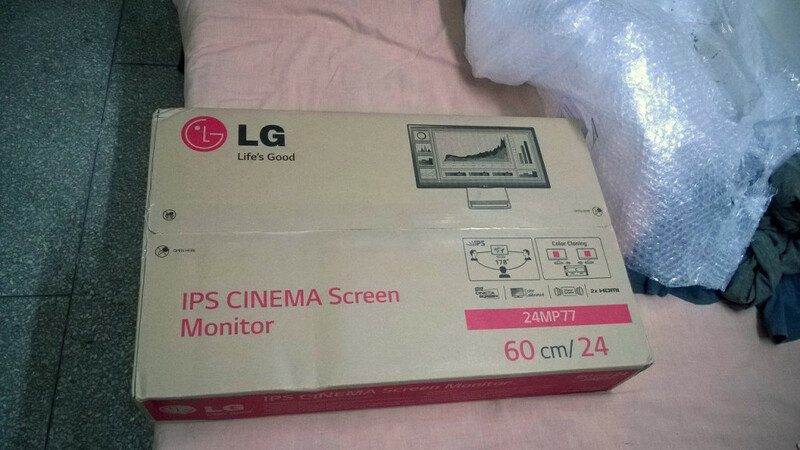 Nice job you’ve done of reviewing the LG24MP77HM IPS Monitor and an even better one answering the viewer’s comments. Saurav. I’m certain to buy this model in coming days, but I wanted to know about speaker. Monitor has 2 speakers, which my current monitor doesn’t have. I obviously don’t wanna use monitor speakers, so how do I connect current speaker system to PC & keep monitor speakers disabled? I meant about Audio in Audio out of this monitor. e.g. Like you’ve used ”Creative” speakers, I’wanna keep my old ones as is. The speakers of Monitor only work if you have connected it to PC over HDMI. 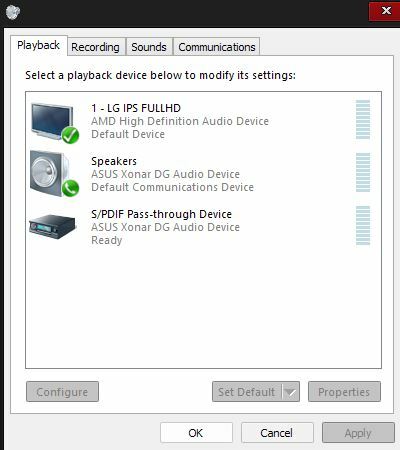 In Windows Audio control panel you can just disable monitor as default audio output device and select your sound card as default one. What do you mean by plug and play? Yes. The color accuracy is good. Hi there, I have one more question for you. I’m considering a 27 inch monitor. Should I get the new LG 27MP77HM or the Samsung S27E390H monitor? I’m mostly going to be watching movies and gaming.. Please let me know. They both seem similar in terms of specs. LG has IPS while Samsung has PLS which is as good as IPS. However, LG will give you a thin bezel so I prefer LG. @Shankar I was also thinking about the same thing. I did some research and found that 24MP77 is nothing but a refresh or 24MP76 for 2015. The panel is same. The body has slightly changed. Virtually they are both same. Oh thank you so much bro. Also is that glass stand feels unstable or anything like that. @sanjay the image quality is very sharp. No issues with that. Movies, video games all work fine as expected. The screen refresh rate is 60 Hz. I am looking for an IPS panel for movies as well as gaming. I’m planning to get this monitors but I’m concerned about the image quality. How is the image quality when you are watching a film? Do they look sharp and vivid? Or should you recommend me some other IPS panel? Is it glossy panel monitor ? @r bhorphukan No. The panel is matte. Do you have display port on this monitor…. The specs on flipkart shows that it has one…..
@tushar No. This is without DisplayPort. Only two HDMI 1.4 ports. 5Wx2 speakers are sufficient for me –anything better than my laptop speakers. It is not about RMS value. These monitor speakers lack bass so you can’t expect good audio reproduction but yeah, they are better than Laptop’s speakers. 24MP77 has speakers too, just like 24MP76 but they are just basic speakers. You are advised to get good speakers. I use Creative Gigaworks T20. Does your model 24MP77HM have speakers? The webpage for 24MP77HM http://www.lg.com/in/monitors/lg-24MP77HM doesn’t mention speakers but the page for 24MP76HM does. On flipkart.com you seem to have reviewed 24MP76HM. So I am confused if you were referring to 24MP76HM or to 24MP77HM while talking about speakers in your review on flipkart. 24MP77HM has 4 screen split feature though.